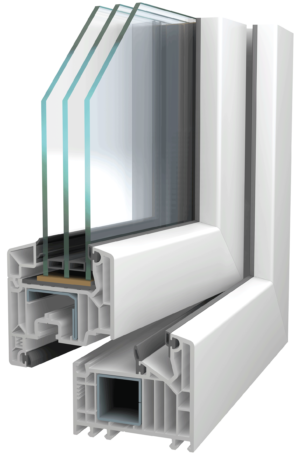 The modern 7-chamber system from VEKA, SOFTLINE 82, offers the ideal thermal insulation for any type of building. Due to the innovative layout of the interior insulation chambers and the efficiency of its sealing system, SOFTLINE 82 significantly reduces the building’s energy consumption and, at the same time, ensures a pleasant climate in the room, regardless of the season. Glazing thickness: possible glazing from 24 mm to 52 mm (depending on the mullion used).